McDermott International has been awarded a contract in the Middle East for engineering, procurement, construction and installation (EPCI) services in the Arabian Gulf. The contract for new facilities includes EPCI services for six new offshore jackets as well as three associated topsides and the project scope also includes 8km of 28-inch corrosion resistant alloy cladded pipeline, two inter-platform bridges, 8km of composite cables as well as brownfield works at the existing offshore facilities. 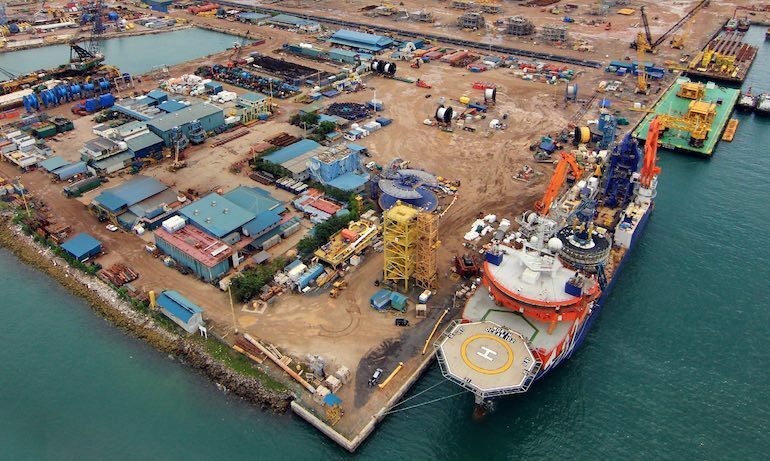 McDermott says the project will take around 34 months and fabrication will mostly take place at its facilities in Batam, Indonesia. The company will utilise Emerald Sea, Derrick Barge 30 and Derrick Barge 50 from its fleet for installation and completion work. The contract is valued at between $500m and $750m.